Summer is here, and that means summer trips! Funny how having kids means that you get less room in your suitcase, right? Between toys, sunscreen, diapers, and changes for the little ones…..every mom needs to be a remixing master to make it through a family vacation looking well, not like a frazzled mommy. Today we’re sharing three ways to wear striped shorts. 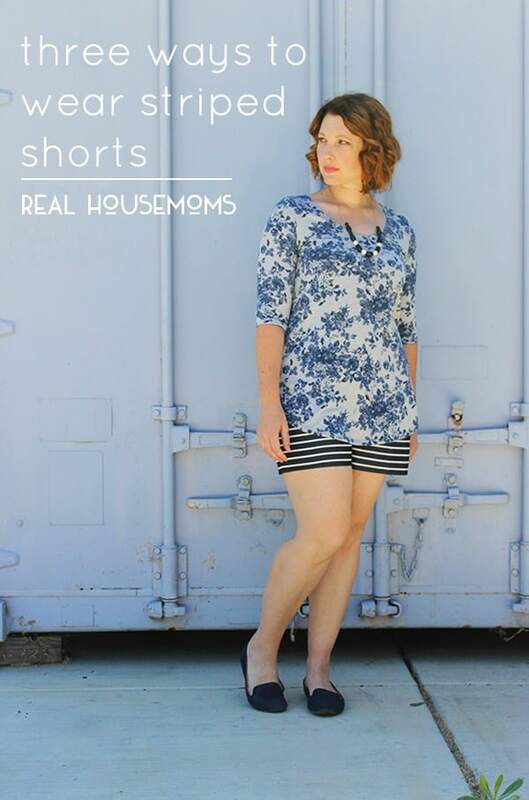 One pair of shorts can take you through almost an entire vacation….leaving room for diapers, souvenirs, and (miracle) a little space for your own items. Vacationing at the beach? A nautical outfit screams vacation everytime. A simple anchor print sweater or tee and boat shoes will show the world that you’re vacation ready! A breezy white blouse, gold sandals and a gold necklace? Summer vacation attire at it’s finest. This outfit will take you from lunch to the beach to a museum seamlessly! Simple, hip, and a great way to get longevity out of any wardrobe piece. The rule for pattern mixing? Stay in the same color family. If you’re mixing with blues……your outfit should be all blue. Clashing colors and patterns? Not cute. All blue pattern mixing? Adorable! Looking for more remixing ideas? 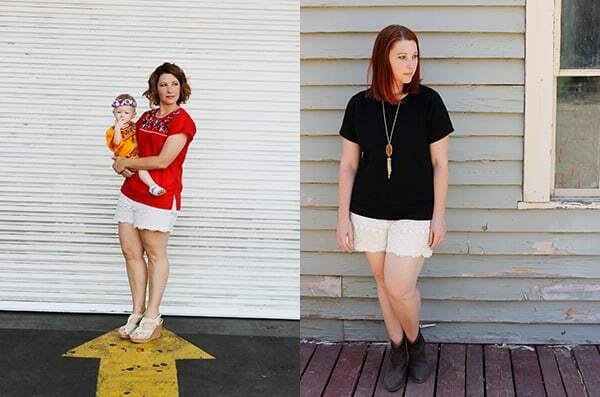 Check out how Carly remixed these lace shorts with brights and western accents!